The OHBM Annual Meeting is the place to learn about the latest international research across modalities in human brain mapping. It is an opportunity for you to have one-on-one discussions with experts in the field and connect with your peers from all over the world. At the educational sessions, junior and senior scientists of various backgrounds teach about the most current and ground-breaking developments in the field, including machine learning techniques, high resolution imaging and most recently also open science methods. The meeting is held every June at stunning locations alternating between North America, Europe and the Asia-Pacific region. The 2019 meeting will be held at the beautiful Auditorium Parco Della Musica. Rome, Italy’s capital, is a sprawling, cosmopolitan city with nearly 3,000 years of globally influential art, architecture and culture on display. Ancient ruins such as the Forum and the Colosseum evoke the power of the former Roman Empire. Vatican City, headquarters of the Roman Catholic Church, has St. Peter’s Basilica and the Vatican Museums, which house masterpieces such as Michelangelo’s Sistine Chapel frescoes. We look forward to welcoming you to OHBM 2019 in Rome! "Sixth time attending and OHBM 2017 was by far the best one yet! Thanks for the great conversations everyone, can’t wait ’til next year!" Q1: How can I register for the 2019 Annual Meeting in Rome? A1: Registration is now open - click here! Q2: Once abstract/program submission is open, when will I be notified whether it has been accepted? A2: Notifications will be sent out in March 2019. Q3: How can I book a hotel for OHBM 2019? A3: Visit our Travel Information page here! A4: Visit our Exhibitors & Sponsors page here! 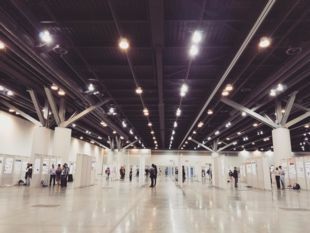 Q5: Where is the 2019 OHBM Annual Meeting located?